LITTLETON, Mass., October 22, 2018 - Mevion Medical System announces that construction is underway for a second proton therapy system at Siteman Cancer Center at Barnes-Jewish Hospital and Washington University School of Medicine in St. Louis. This new vault will be equipped with the MEVION S250i Proton Therapy SystemTM with HYPERSCAN Pencil Beam Scanning (PBS)TM technology. In 2013, Siteman Cancer Center became the first in the world to treat a patient with a Mevion compact proton therapy system. Siteman treats adult cancer patients with proton therapy, as well as pediatric cancer patients from St. Louis Children’s Hospital, also located on the Washington University Medical Campus. Last year, Siteman celebrated the treatment of its 500th proton therapy patient. The MEVION S250i with HYPERSCAN Pencil Beam Scanning is pictured above. The new system will be equipped with Mevion’s HYPERSCAN Pencil Beam Scanning technology. This technology improves on older scanning technologies particularly due to Mevion’s Adaptive ApertureTM , a novel proton multi-leaf collimator (pMLC), which gives clinicians the most conformal treatments. 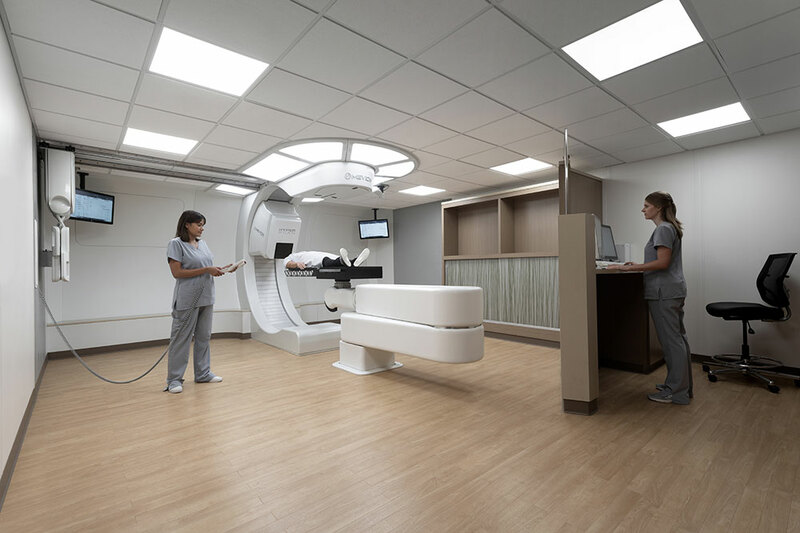 Additionally, Siteman Cancer Center is leveraging the open platform capabilities of the Mevion system to incorporate the latest imaging modalities. Siteman will be equipping its room with both a ceiling rail mounted cone beam CT system and diagnostic CT on rails system for advanced treatment modalities.